Shown With Mirror. Mirror Sold Seperately. 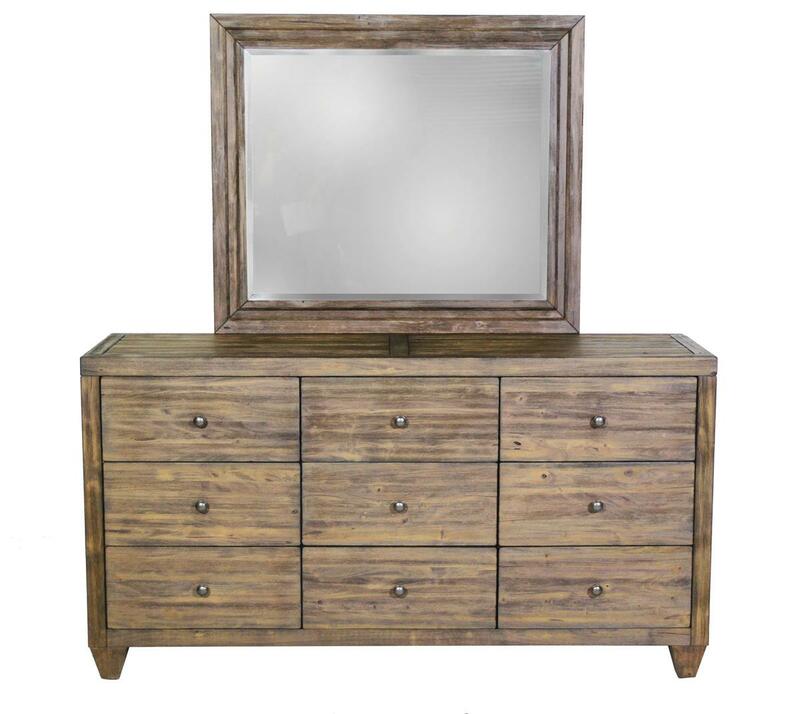 Capture the warmth of rustic woods and the simple sophistication of modern style with this dresser. A distressed brown finish gives the piece a natural weathered look that is full of character. Nine drawers provide great storage, while clean lines provide contemporary appeal. The Corinth 9 Drawer Dresser by Modus International at Red Knot in the Oahu, Honolulu, Kapolei, Pearlridge, Salt Lake, Hawaii area. Product availability may vary. Contact us for the most current availability on this product. Storage Nine drawers for storage. Case Construction Sengon Tekik Wood; All Solid Wood Construction. Instill your bedroom with character and rustic beauty with the Corinth collection. Pieces feature a distressed medium brown finish that creates a weathered look and warm tones. Clean lines add contemporary appeal, posing a perfect balance of sophistication and rustic charm. The Corinth collection is a great option if you are looking for Contemporary furniture in the Oahu, Honolulu, Kapolei, Pearlridge, Salt Lake, Hawaii area. Browse other items in the Corinth collection from Red Knot in the Oahu, Honolulu, Kapolei, Pearlridge, Salt Lake, Hawaii area.